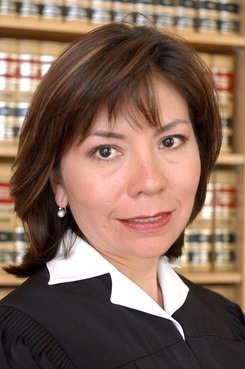 Judge Suzanne Ramos Bolanos. Image source. The California trial against Monsanto by Dewayne Johnson, a 46-year-old former school groundskeeper, who was diagnosed with non-Hodgkin lymphoma four years ago and claims that Monsanto hid evidence that the active ingredient in its Roundup herbicide, glyphosate, caused his cancer, is nearing the end, where a jury will decide on a verdict. One of the attorneys of the Plaintiff, Robert F. Kennedy, Jr., has been giving updates that are being posted on the Organic Consumers Association website. In a recent update, Mr. Kennedy reported on some of the actions of Judge Bolanos that seemed to suggest that the judge could be potentially biased in favor of Monsanto by not allowing some key evidence, some of which seems to contradict what another judge, Judge Curtis Karnow, seemed to rule was admissible in pre-trial hearings. 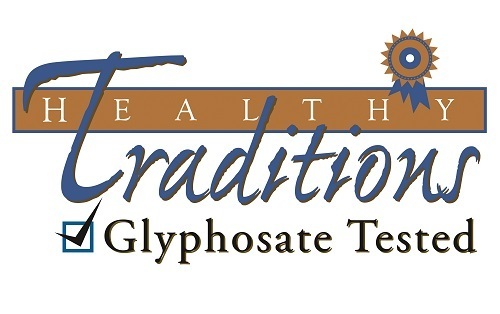 First, Plaintiff’s counsel lead by Brent Wisner, sought to exclude evidence that our side’s exposure expert, Dr. William Sawyer, occasionally used Roundup himself. Wisner and his colleague, Tim Litzenburg, pointed out that in the tobacco context, the courts have consistently held that an expert witness’s cigarette use is irrelevant. The court indicated its inclination to ignore this precedent. Judge Bolanos reasoned that the defense counsel could legitimately impeach Sawyer with his admissions that he used Roundup. Wisner told the judge that, in that case, he intended to have Dr. Sawyer testify that his use resulted in zero exposure due to his precautions of redesigning his spray wand to prevent aerosol drift. We wanted, also, to show that Dr. Sawyer made careful efforts to avoid consuming glyphosate by eating only organic foods. However, Judge Bolanos said she would prohibit our team from mentioning Sawyer’s diet. Monsanto has fought consistently and successfully to prohibit our side from mentioning GMOs. Now Judge Bolanos again cautioned that the issue of GMOs would be off limits. The judge warned us that our witness should not mention GMOs on direct or cross examination. Next, Wisner sought to clarify the parameters within which our regulatory expert, Dr. Charles Benbrook, could testify about evidence that Judge Curtis Karnow had declared admissible in his pretrial rulings. The Monsanto case has followed a long winding path typical of large complex cases in California. The case survived an extensive pre-trial phase. In that phase, an appointed judge addresses the accumulation of documentary evidence, witness depositions, expert qualifications and determines whether the evidence and experts are sufficient for reasonable jurors to declare a defendant guilty. This phase lasted more than a year and was overseen by Judge Karnow who handled all the pre-trial issues. Judge Karnow completed that assignment when he ruled that Dewayne Johnson had assembled enough evidence, including admissible expert testimony, to present to a jury. At that point, the Johnson case went into a trial assignment department, with a “package” of pre-trial documents and rulings on admissibility by Judge Karnow. San Francisco’s trial assignment department selected Judge Bolanos, a former prosecutor, to be the Johnson trial judge. Judge Bolanos received the set of Judge Karnow’s orders to implement or modify at her discretion during the Johnson trial. In general, Judge Bolanos’ rulings have seemed to us more friendly to the defense than Judge Karnow’s. As the day grew longer, Judge Bolanos ruled that Dr. Benbrook could not offer any opinions or descriptions about a collection of Monsanto’s internal studies on Roundup’s health effects that are highly damaging to Monsanto’s case. We had hoped to show the jury these documents, which involve transparently deceptive statistical machinations designed to cloud the results of Monsanto’s own glyphosate research. One important internal study shows that glyphosate causes cancer in mice. Another internal Monsanto research study detailed higher human skin absorption rates of the herbicide than reported elsewhere. Wisner’s team also tried to get Judge Bolanos to advise Monsanto’s counsel, George Lombardi, to stop his habit of angrily yelling at the witnesses at point blank range. Judge Bolanos said that she had not heard the yelling but nevertheless urged the attorneys on both sides to use their inside voices. A note from a juror the following morning made an identical complaint; she asked the judge to make Lombardi stop yelling. Our teammate, Pedram Esfandiari of Baum Hedlund Law, next sought to prevent Monsanto from entering into evidence the U.S. Environmental Protection Agency’s (EPA) draft findings on glyphosate’s carcinogenicity which purported to show that there was no proven association with cancer. That draft was created by Monsanto’s shill inside the EPA, Jess Rowland, the former head of the EPA’s pesticide division who was secretly working for Monsanto by concocting studies like this one. Since we have been unable to explain to the jury Rowland’s scandalous story, we are anxious that they not see his handiwork and mistakenly assume that it is a product of an honest and deliberative agency process. Pedram argued that the draft EPA conclusion was unpublished hearsay and was therefore inadmissible. Judge Bolanos listened so intently and agreeably to Pedrams polemic that he was dead sure that he had her persuaded. Nevertheless, she denied his motion the moment he stopped talking. Judge Bolanos agreed that the EPA statement was inadmissible hearsay if Monsanto offered it to prove glyphosate doesn’t cause cancer. However, she ruled that Monsanto could nevertheless introduce the language to show Monsanto employees’ state of mind at the time the report was issued. The Hearsay Rule prohibits admission of out-of-court statements offered to prove the truth of the matter asserted. However, statements offered to demonstrate the “state of mind” of the speaker are not forbidden. Judge Bolanos’ ruling seemed to us unconventional because Monsanto employees did not author the document, therefore it doesn’t make sense to claim that the document reflected the employee’s state(s) of mind. Furthermore, Monsanto first saw the EPA document in 2016, long after Lee Johnson had stopped using Roundup. Monsanto’s state of mind at that time is therefore utterly irrelevant to this case. Finally, Judge Bolanos rejected the plaintiff’s request to introduce documents summarizing International Agency for Research on Cancer (IARC) President Christopher Wild’s devastating rebuttal of Monsanto’s orchestrated propaganda campaign against IARC. We believed that this document should be admitted under the same rationale as Judge Bolanos admitted the EPA draft. After all, it illustrates Monsanto’s “state of mind” and is highly relevant to the issue of punitive damages. Judge Ramos did not agree. On Thursday morning, Judge Bolanos slapped our side with yet another disappointing ruling. This time, she excluded mention of Monsanto’s “TNO dermal absorption” studies which found far higher rates of glyphosate and Roundup absorption through the skin than previously reported. Internal Monsanto emails revealed that Monsanto employees received the results of the study indicating that the increased dermal exposure was linked to cancer. Instead of pursuing this critical research, Monsanto’s Dr. William Heydens and his Monsanto cronies orchestrated the termination of the study claiming a non-existent discrepancy which they had contrived to avoid submitting the results to the EPA. This conduct also seemed directly relevant to punitive damages. Alas the jury will never hear this sordid tale. However, Kennedy also pointed out that there were some positive results in the courtroom as well, as they remain confident that they will be able to educate the jury on the facts regarding Monsanto’s product and its danger to the public. Dr. Sawyer testified that Lee’s job as Integrated Pest Manager for the Benicia School District required him to apply Roundup in ways that maximized his exposure. Unlike farmers who typically spread Roundup from designated machinery or a mechanical applicator pulled some distance behind an atmosphere-controlled closed tractor cab, Lee used an unregulated high-pressure truck sprayer, “Just one trigger would literally fill this courtroom with mist.” As a result, Lee was “heavily exposed” to Roundup. Dr. Sawyer observed that Lee sprayed more than three times more Roundup per hour than the average individual in Monsanto’s premier safety studies. Dr. Sawyer uses Roundup occasionally himself and admitted that even his small backpack sprayer produced drift in the wind that worried him. He therefore modified the sprayer to produce a stream resembling a squirt-gun to reduce the aerosol effect so as to limit his own exposure—a safety precaution unavailable to Lee. Instead, gusts of wind and sprayer malfunctions frequently drenched Lee in Roundup. Dr. Sawyer said that the sometimes sweltering Tyvek suit actually amplified Lee’s exposure to Roundup. Glyphosate molecules easily penetrate the fabric where Lee’s sweat would act as a conveyor belt for the herbicide wicking it off the suit material and transporting it directly to his skin in an aqueous solution that made it more likely to infiltrate the skin directly through the vectors of his skin lesions. On day 13 of the trial, July 29th, Kennedy reports that they had another victory in getting their final witness, Dr. Charles Benbroo, to testify over the objections of the defense attorneys for Monsanto. Benbrook is an agricultural and toxicology scientist. A Harvard graduate and former executive director of the National Academy of Sciences, Benbrook has been studying the link between glyphosate and non-Hodgkin’s lymphoma since 2000. In recent days, as described in an earlier post, our side has been dealt a series of harsh rulings by Judge Suzanne Ramos, rulings which limited the admissibility of this class of evidence. Monsanto’s attorney, Kirby Griffis, objected forcefully whenever Wisner and Benbrook edged near the red lines drawn by the judge. Despite these interruptions, Benbrook succeeded, if haltingly, in describing Monsanto’s attempts to suppress data on glyphosate’s carcinogenicity. We feel that the trial is going our way. Earlier in the morning, Wisner read a stipulation to the jury describing Monsanto’s value, which is relevant to the company’s ability to pay large damages. In June, Monsanto sold itself for $66 billion to Bayer (a German company cut from the same corrupt, manipulating and deceptive cloth as Monsanto). We were disheartened when Judge Ramos cautioned our side against any mention of Monsanto’s $66-billion market value to the jury. Finally, we stipulated with the company’s defense counsel that we would only use the company’s book value; a relatively paltry $6.6 billion. The tradeoff is that we can mention that Monsanto has $3.3 billion in cash on hand.